Happy Monday, friends! Did you have a good weekend? On Friday I stopped by a fun happy hour hosted by my blogger pal Denver Darling for Swoozies. It was so great to see all my local blogger pals and catch up! 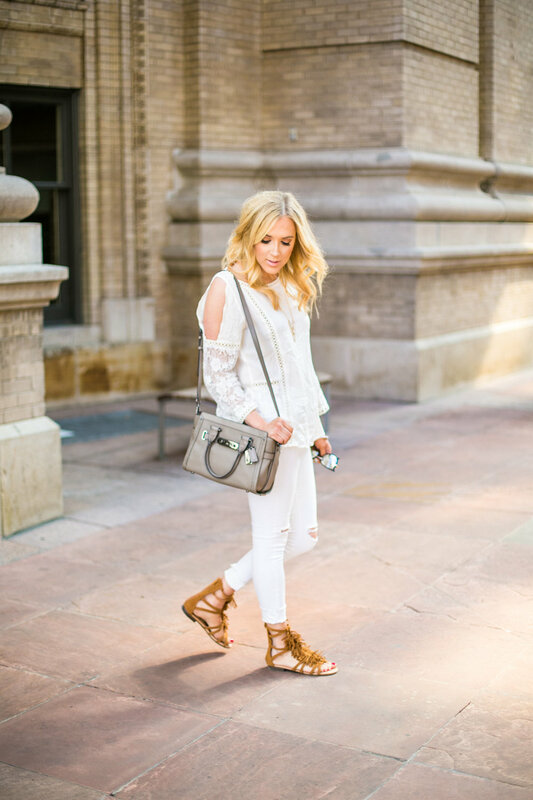 Today I'm sharing a look I love for Spring and Summer. 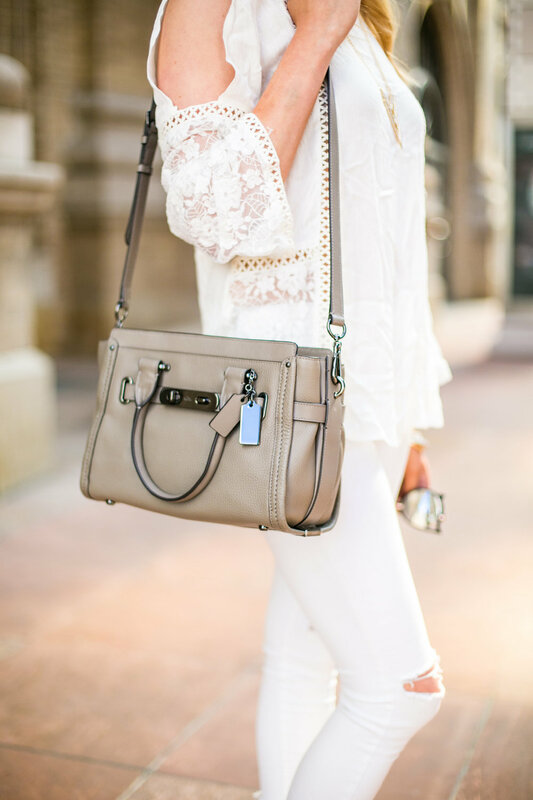 I love monochrome looks because they're so easy to throw on and allow you to have fun with accessories. 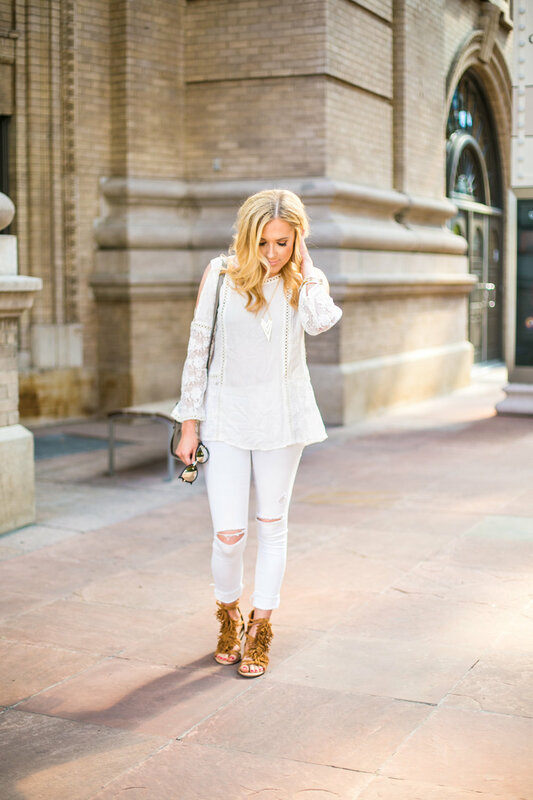 All white is one of my FAVORITE things to wear in the warmer months because it's light and fresh. This cold shoulder top has so many pretty details and is so lightweight, it's perfect for these warmer temps we're finally getting, and can be paired with so many different things. Pairing with some simple jewelry and fun shoes keeps it look simple and easy. What easy looks are you loving this time of year?